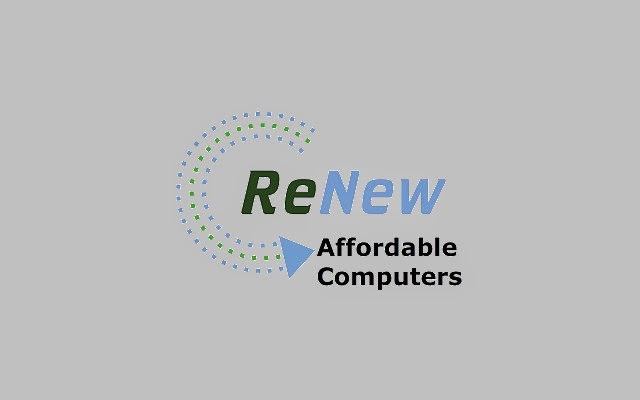 Renew IT – the company that has been making relentless efforts in making computers affordable for everyone who needs one. Founded by IIM Kolkata Alumnus Mukund B.S. and partner Raghav in 2009, it hasn’t looked back since then. The company is driven by the goal of “making computers affordable to everyone” and do so by providing high quality systems and other peripherals but at quite low price. The organization is certified with ISO 14001, ISO 9001 and OHSAS 18001 and serves the PC needs of individual users, small startups, schools, businesses and NGOs who cannot manage to spend much on costly new PCs. How it works? Computers are sourced from large organizations and MNCs. These systems are refurbished and then remarketed. This way the organization is successful in filling the large access gap that exists between a large population and technology. According to 2011 census, the computer to household ration is 1:10 which is very low. Even with such a low margin, India is counted as an IT nation. Imagine what could be achieved if the larger remaining population gets access to computers. It would mean more number of jobs and better lives. The price range of the refurbished computers starts from Rs. 4,500. There are many of us who require just the basic general purpose system for using internet, e –mail, administrative work etc. in that case buying a whole new system can come expensive on our pockets. So why don’t buy a refurbished system and save money on hardware. Renew IT is a Microsoft registered refurbisher and delivers all the systems with genuine Microsoft windows 7 at 1/10th of the actual market cost. Renew IT is quality refurbishment combined with strong reselling. The census also stated that there is 1 in 20 small businesses that uses a computer. For India to be more productive, around 600 million computers have to be made available by next decade. Renew IT proves to be the solution. This Bangalore based company sources only branded enterprise systems including Dell, HP, Lenovo, IBM etc. from MNCs after the end of lease. If you have a small budget, you must consider spending wisely and buying a refurbished PC. These PCs are at par with the functionality of the new ones. The remaining money can be spent on buying required software or other accessories or it can just add to your other plans. Another thing to be considered while buying systems is the functionality you require. For example, if you just need to browse internet, MS office, tally etc. you don’t need to go for the latest technology that comes expensive. These heavy duty PCs can be used 24/7 without any performance issues. Replacements are made for the defective parts. Each system goes through thorough testing after refurbishment and is put on sale only if it passes the test. The computers come with a 30 days warranty which can be extended for an extra charge.